CouchPotato is a wonderful set and forget python script to automatically download and pass movie torrent files to torrent downloaders (eg. Transmission) or NZB files to NZB downloaders (eg. SABNzbd+). In this post I will describe an easier way to install CouchPotato2 on Windows from Windows binaries. 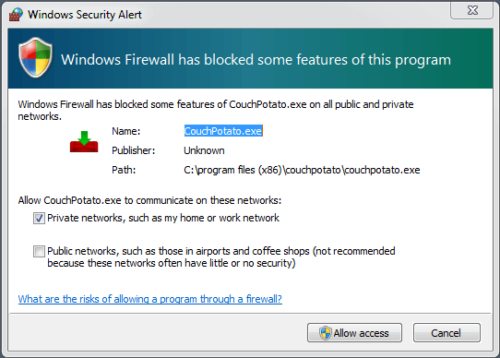 Presiously, I showed to how to install CouchPotato on Windows from source. You can search add movies to download through the CouchPotato web interface or directly from sites like imdb or rottentomatoes. Some of the readers of my posts on how to install CouchPotato on Ubuntu and how to setup CouchPotato Apache reverse proxy requested me to write a post on how to install CouchPotato on Windows. So here it goes. CouchPotato (CP) is an automatic NZB and torrent downloader. You can keep a “movies I want”-list and it will search for NZBs/torrents of these movies every X hours. Once a movie is found, it will send it to SABnzbd or download the torrent to a specified directory. CouchPotato requires python 2.6 or higher. Installation is by far the easiest to do with the Windows binaries. Just click the installation file and install as you would install any other program. Running from Python source (described in this post), on the other hand, requires quite a bit of work. The disadvantage in installing from Windows binaries is that it can take some time for the updates to come through due to recompilation of Windows package after each code update. If you want the latest and greatest immediately, then head over to my other post to install CouchPotato on Windows from Python source. If you want an easier method and do not mind waiting for the updates then follow this post. Download the latest Windows installer from here. 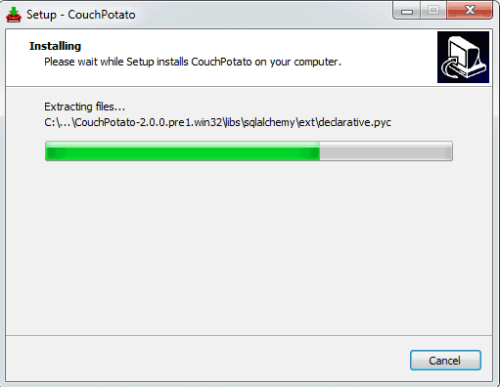 Open the downloaded file and run it to install CouchPotato on Windows systems. The installation will be the same as installing most programs on Windows. 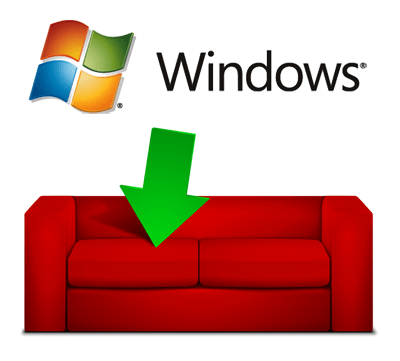 Once the installation is complete you are done with CouchPotato Windows installation. 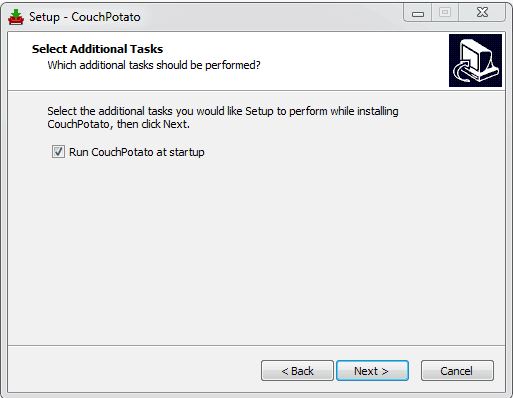 First time, you will have to manually start CouchPotato from Start->All Programs->CouchPotato. CouchPotato will appear in the system tray. Right-click on it and choose “Open”. For now (and most of us), http://localhost:5050 should be enough at this point. It explains all the settings in detail with screenshots. After configuring your CouchPotato, you may return to this post and continue. When updates are available, you can install them by clicking “Update to Latest” from the settings menu or by clicking on the update notification that appears on top of the screen (shown below). Thats it. You are now fully done. Install CouchPotato on Windows and enjoy.